The Perennial Lifeline Garden at RHS Chelsea 2019 celebrates 180 years of helping people in horticulture. 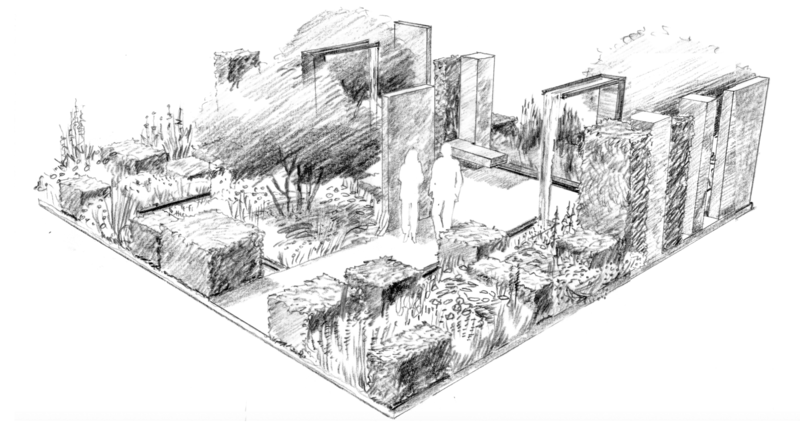 Perennial returns to the RHS Chelsea Flower Show in May 2019 with a Great Pavilion garden designed by first time Chelsea designers Colm Joseph and Duncan Cargill. Inspired by Sir Roy Strong’s autobiographical The Laskett Gardens, The Perennial Lifeline Garden, highlights the long-standing and ever-evolving role of Perennial in supporting everyone working in and retired from horticulture. Chosen following a design competition run jointly by Perennial and the London College of Garden Design, Colm and Duncan’s garden celebrates Perennial’s role at the heart of horticulture and captures the spirit of Sir Roy Strong CH and Julia Trevelyan Oman’s The Laskett Gardens, which Sir Roy bequeathed to Perennial in 2015. The Perennial Lifeline Garden features a classical rose garden reimagined as a more sustainable and low maintenance ‘rose meadow’. Roses intermingle with ornamental grasses, perennials and annuals to create a striking and texturally rich display with long seasonal interest. Providing formality and structure, three forms of hedge (beech, yew and hornbeam) are asymmetrically arranged and clipped to varying heights, while classical sculpture is replaced by the organic forms of multi-stem trees, helping to frame views through the space. Freestanding metal screens, stone and topiary columns and a pair of modern ‘fountains’ combine in a modern reimagining of a classical colonnade, in which visitors can move around and walk beneath the cascades. A contemporary rill flows through and around the garden, adding life and sound to the structural planted elements, representing the ‘lifeline’ that Perennial is so often described as by the people it supports. Colm and Duncan are alumni of the highly-acclaimed London College of Garden Design. Running separate garden design practices, their collaboration for Perennial at the RHS Chelsea Flower Show 2019 brings together their complementary skills and design approaches to explore the theme of celebrating heritage while looking to the future. Colm Joseph landscape + garden design, based near Cambridge and Newmarket, specialises in modern and contemporary garden design. Duncan is one side of garden and landscape partnership Cargill Sykes Ltd. They are based in London and the Cotswolds and are also undertaking projects in France and Spain. Tickets to the show are now on sale here.